Description: The peanut, or groundnut (Arachis hypogaea), is a species in the legume "bean" family (Fabaceae) native to South America, Mexico and Central America. It is an annual herbaceous plant growing 30 to 50 cm (0.98 to 1.6 ft) tall. The leaves are opposite, pinnate with four leaflets (two opposite pairs; no terminal leaflet), each leaflet 1 to 7 cm (⅜ to 2¾ in) long and 1 to 3 cm (⅜ to 1 inch) broad. The flowers are a typical peaflower in shape, 2 to 4 cm (¾ to 1½ in) across, yellow with reddish veining. After pollination, the fruit develops into a legume 3 to 7 cm (1.2 to 2.8 in) long, containing 1 to 4 seeds, which forces its way underground to mature. 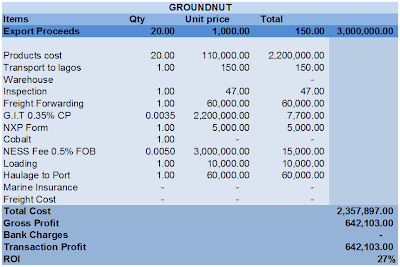 According to Food and Agriculture Organization (FAO), Indian Standard Institute (ISI) categories groundnuts, into three grades using different specifications as stated in the table below. 1. Edible groundnuts account for two-thirds of the total groundnut use in the United States. 2. Popular confections include salted groundnuts, groundnut butter (sandwiches, candy bars, and cups), groundnut brittle, and shelled nuts (plain/roasted). 3. Salted groundnuts are usually roasted in oil and packed in retail size, plastic bags or hermetically sealed cans. Dry roasted, salted groundnuts are also marketed in significant quantities. 4. Groundnuts are often a major ingredient in mixed nuts because of their inexpensiveness compared to Brazil nuts, cashews, walnuts, and so on. 5. The primary use of groundnut butter is in the home, but large quantities are also used in the commercial manufacture of sandwiches, candy, and bakery products. 6. Boiled groundnuts are a preparation of raw, unshelled green groundnuts boiled in brine and typically eaten as a snack in the southern United States where most groundnuts are grown. 7. More recently, groundnuts can be fried, where they can be eaten both shell and nut. Export market: The major groundnut importers are the European Union (EU), Canada, and Japan. These three areas account for 78% of the world's imports. 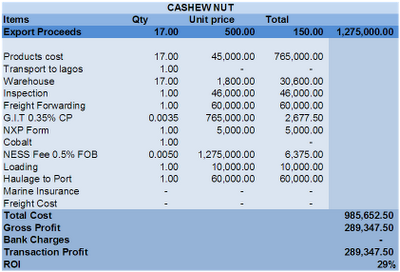 Export price: Groundnut unlike cashew nut is usually exported as kernel (i.e shelled groundnut) The export free on board (fob) price of groundnut varies from about USD 800-1,100/MT depending on the grade. Export Path® is a public-private partnership (PPP) comprised of public, private and non-profit entities from more than a half dozen countries. The partnership exists to assist small businesses from the US and Canada to enter emerging markets, and to assist small businesses in emerging markets develop products for the US and Canadian markets. It supports bilateral trade with and between emerging markets. The critical benefit of this platform is that it provides a simple and efficient means for companies to explore many markets at the same time, at minimal cost. Partners work together to assist companies looking at various markets for their goods and services. It is private sector-led. Partners include various embassies,trade development agencies, banks & financial institutions, investment promotion agencies, non-profit trade support groups, and so on. 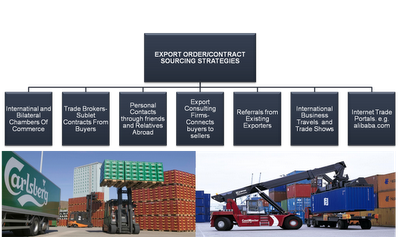 Export Path is headquartered and coordinated globally out of the Washington DC area. 1. Hands-on assistance with development of products & services for new markets. 2. Hands-on assistance with new market development including access to vetted & qualified partners, buyers and suppliers. 3. Access to loans for investment and grants to support business development. 4. Hands-on assistance with new market entry including regulatory & operational support. NXP form duly endorsed and stamped by the Nigeria Customs Service. Receipt of payment for Nigeria Export Supervision Scheme (NESS) fees i.e naira equivalent of 0.5% of the FOB value of the shipment. This can be done in designated commercial Banks in Nigeria. 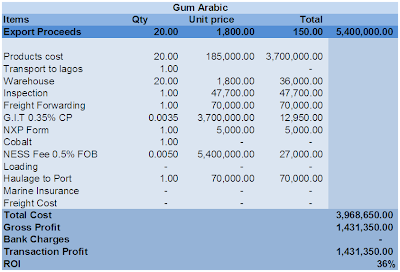 The chart above shows the typical value chain of exportable commodities in Nigeria from the farmer that cultivates the commodities to the Importer that will utilize them as raw materials for its industry abroad. 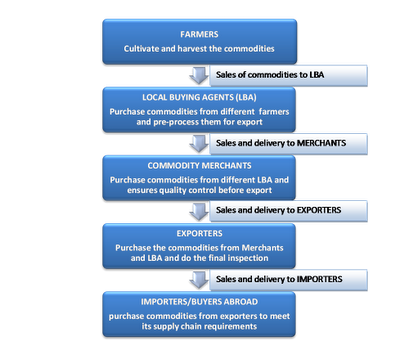 An exporter can therefore source the commodities from farmers and LBA directly at a cheaper rate. 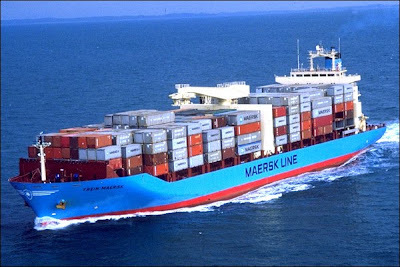 Nevertheless, the risk of transportation and the likelihood of purchasing poor quality commodities will be borne by the exporter. However, these risks can be lessened. 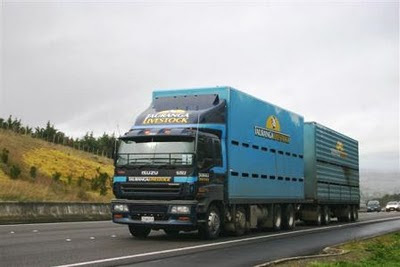 To reduce the transport risk, exporters should do a good in transit (GIT) insurance with a reputable insurance company. 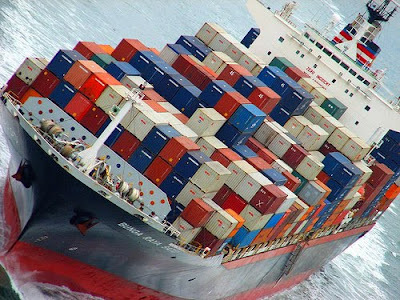 To minimize the risk of purchasing commodities with poor qualities, the exporter should visit the commodity markets and LBAs with the samples of commodities that meet the importers’ specifications. This is to enable them compare the commodities to be purchased with the samples before payments.